When trying learn a new skill or application, do you get frustrated with “TMOI” (Too Much Online Information)? TMOI can lead you straight to burnout and derail your learning efforts. But you can prevent learning burnout by using a technique that academic establishments have been using for centuries. A learning curriculum or learning plan. It keeps students focused on a particular subject or project. A properly planned curriculum takes the learner through a logical sequence of sub-topics so the overall learning goal can be reached. Without this kind of planning, students would never graduate on time. As a busy blogger, it’s hard to manage a business and make the time to learn something new. But for your business to grow, you need to gain expertise in multiple areas. If you’re new to blogging, then you’re trying to learn everything you can, and that can be overwhelming. 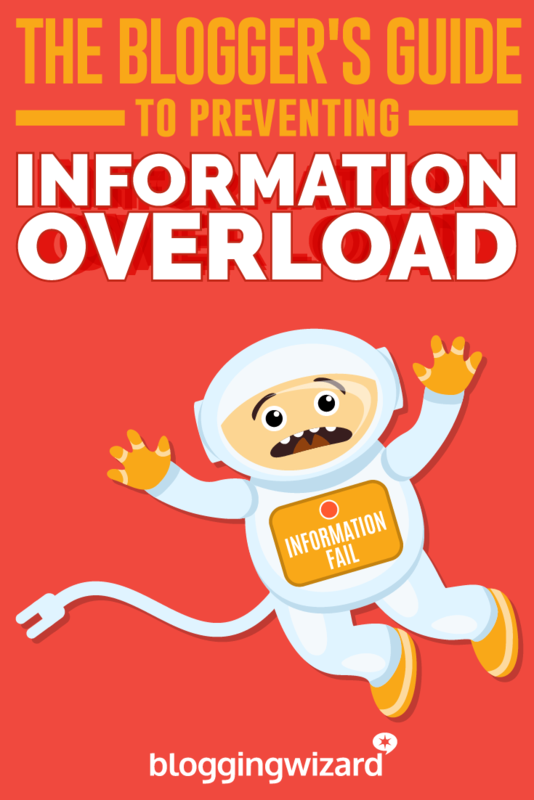 Stop the information overload and prevent burnout by setting your own learning plan in motion. In your search for online knowledge, you’ve undoubtedly come across articles or books that talk about goals. Just like the goals you set for your life and business, you need to set goals for your learning. However, without certain features, your goals are only dreams. Your learning goals need to be specific and measurable. And “I want to learn how to design an image in Canva by the end of the month.” Are specific learning goals. “I want to find out how to freelance.” Or “I want to make $1000 freelancing.” Is too broad and opens yourself up to information overload. Find out what you need to learn now and make it a specific, measurable learning goal. You must give your learning goals a time limit. “I want to learn about Twitter chats by the end of the day.” Is an example of giving your goal a time limit. If you don’t give your goal a time limit, you’ll never complete it because l there is no way to measure progress. This opens you up to procrastination. And procrastination can turn into missed opportunities. You missed out on the chance to network with other freelancers in your niche during the last Twitter chat about (enter an important aspect of your business here) because you never took the time to learn how Twitter chats work. This goal feature is the most important. You shouldn’t create learning goals that come from other people. If you’re learning something new, it’s easy to become persuaded to go down a learning path that’s not your own. If you’re new to a subject, it’s hard to know what you don’t know unless you know about it (yes, read that to yourself again). But through searching and reading, you get an idea of what learning path you should take. Are you brand new to blogging? Then find out exactly what blogging is and what it means. From there you can find out what kind of blogger you want to be. And from there, you can pick out the tools you’ll need to be that kind of blogger. Want to be a freelance writer? Then you’ll want to start learning about writing good online copy before you try and wrap your head around image design or SEO keywords. Learn about those last two after you’ve mastered how to write online. And don’t try to learn something that doesn’t make sense to you yet. Write down the list of goals that reflect your personal learning journey in a notebook or planner. Writing them down make your goals real and tangible. Post your goals in an area where you can see them every day. And make sure those goals follow the features listed above. The next thing to do is categorize. Categorizing your goals into sections will keep your learning focused. And will become your personal learning database for future reference. A new blogger just set up a new website. He’s created specific learning goals. Some goals are about social media, another set of goals are for learning cPanel and the WordPress dashboard, and another is for copywriting and online writing skills. His next step is to categorize these goals into sections. It would be a good idea for him to work through these learning goals before creating new ones. And as he works through learning each one, he can check them off his category list. Checking off your learning goals as you finish them will give you a satisfying feeling of accomplishment. Keep in mind that your categories will constantly be evolving so it’s a very good idea to keep a digital copy of your categories. All successful bloggers use a content calendar that has scheduled blog posts and article ideas. Experts save time and keep focused by using this method because each content idea is given a deadline and publication date. You can use this method to help you reach your learning goals. Your day is hectic already, and now you’re trying to learn new skills. You need to schedule your learning or you’ll never complete your goals. Set up an hour each day or 2-4 hours each weekend just for learning something from your categorized goals. Wake up an hour earlier to spend some time learning before you start your day. Or turn off the TV for an hour every Wednesday night to learn something from your list. If you have children, schedule your learning goals into the days that aren’t so hectic. And use smaller learning portions like 15-20 minutes timeframes. Study when your children are studying or for 20 minutes after they go to bed each night. 15 minutes, once a day, every day for 7 days adds up to 105 minutes of learning time each week (that’s one hour and 45 minutes). For you, it may seem like too slow of a pace, but at least it’s a steady pace in a focused direction. And it’s that slow, steady, but deliberate pace that actually wins the race. Have you ever sat down to read a book or study but your mind keeps wandering to something else? Before you know it, you’ve finished an entire chapter and can’t remember what happened! The best workaround for this is to use a timer. Use it for everything! Phone calls, shopping trips, recreational reading, and especially for your learning goals. Using a timer helps the brain concentrate on a task and gives your mind permission to take a break from multitasking in the background. Using a timer is the most productive tool you can use to get through your learning goals on time. If you’ve never used a timer for tasks, try the Pomodoro technique. It has been proven to increase productivity. To use this technique, concentrate on a task without distractions for 25 minutes straight. Then take a 5-minute break to do something else or review your work. You can do as many 25-minute time tasks as until your task is completed. Working in uninterrupted intervals and taking short breaks in between keeps your mind energized and focused. Any timer will do, but the Focus Booster app is a great productivity tool and time tracker that will help keep you focused. Sometimes it’s just easier and faster to write something down rather than cut and paste it into an app or word document. Use a separate notebook or sketchbook for each categorized learning goal. Jot down ideas, draw pictures or create mind maps. And if the lines of a notebook inhibit your creative flow, try using a sketchbook for your notes. Keep it simple. Use single-subject notebooks and simple sketchbooks. They are very affordable, and most are usually under $6. Since most of your learning will be online, it’s important to make sure you stay away from online distractions while you’re in the learning bubble. Online distractions reduce productivity and waste your time. When starting your work, close out all your browser tabs that are on social media, news blogs, or lifestyle blogs like Pinterest or Instagram. And if it’s really hard for you to do that on your own, use a tool like Rescue Time’s Focus Time feature that blocks distracting websites. Can’t remember to do that? then use another tool like IFTTT to work with Rescue Time to automatically block your computer from entering distracting sites during certain times of the day. Everyone should have an area that is designated for work, writing, and studying. Someplace that has a table and good lighting. And, most of all, make sure that space is clear of anything not related to the work you’re doing at the time. Clear the space of books, magazines, unopened mail, toys or decorative items to reduce your distractions. This one is a no-brainer but difficult to do. Turn off the television, the radio, and your phone. And be sure to place your phone somewhere away from your learning bubble to reduce the temptation to be distracted. Believe it or not, your inbox can be a distraction to learning, and a source of stress if it’s not in order. You’ll be needing a clean inbox to find those emails pertaining to your learning categories. If you have a ton of other emails that aren’t important, the sheer clutter of your inbox will cause you to get distracted. Reduce email stress by keeping a clean and organized inbox so you can quickly access emails pertaining to your learning goals. Don’t want to throw out your current subscriptions or certain emails that you may want to read later? Use an app like Unroll.me to put all those semi-important emails rolled up into one email that you can review when you’re not learning. Get more learning done and prevent information overload by setting learning goals, categorizing and organizing them, and setting a time for scheduled learning. Consider this your personal learning curriculum plan and remember that it’s not a set-and-forget kind of thing. Your learning list will grow as your knowledge grows. If you start out organized, you’ll end up with a learning database that you can refer back to as you learn new skills. Your success at gaining new knowledge depends on how well you keep yourself from getting overwhelmed and burned out. What learning goals will you set for yourself? What tools or techniques will you use to stay focused and reduce distractions? Christine C. Renee is a self-driven money blogger and freelance writer who likes to tackle the areas of money, productivity, and all things freelance. Her main focus as a freelance blogger is to help businesses create engaging content for their online audience. When she’s not writing she’s reading a book or hiking with her best bud Bubba, an interesting mix of sheppard and crazy who she found wandering around the animal shelter 4 years ago. Find out if her energetic writing style is right for your business.